Finding the best office phone setup for your small business is an important decision if you’re looking to compete with larger, more established competitors. A comprehensive setup for any organization should include a range of functions which not only support the way in which your business communicates with customers and clients but also internally across divisional teams and departments. Voice over Internet Protocol – also called VoIP and IP telephony – is fast becoming a business standard all over the world. It allows voice, video, and collaborative interactivity without using dedicated phone lines, and is often less expensive than traditional telephone services. The question is, how do you choose the best VoIP system for your small business? We’ve done the hard work for you. This page will tell you the top ten best VoIP phones available right now, how to choose if VoIP is right for you, and explain the advantages of VoIP for business. 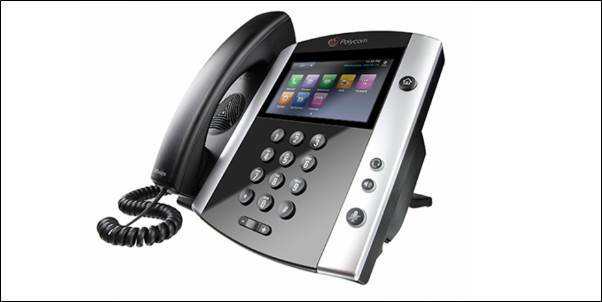 The number one VoIP phone available in 2019 is the Polycom VVX 600, a reliable and practical business model, popular for its design and for being one of the easiest phones to use on the market. The Grandstream GXP2170 and GXV3275 place second and third with exceptional functionality and value for money. Below we have listed a total of ten of the best VoIP phone models, based on features, ease of use and pricing. All of the phones on our list are sure to improve your office communications, especially for small businesses looking to expand and grow. The key benefits associated with VoIP phones vary from cutting costs to advanced functionality that can make both your internal and external communications more efficient and effective. 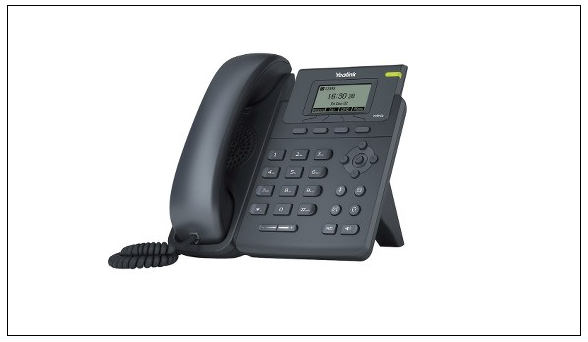 Read on for individual reviews of each office phone model. Using the list above you can also navigate directly to the model you’re looking for. 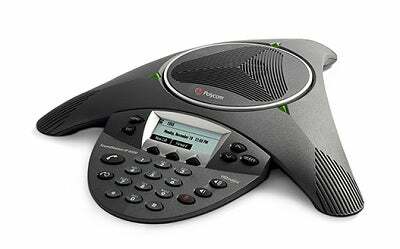 The Polycom VVX 600 is an excellent example of a ‘business media phone’. It boasts a 4.3-inch gesture-controlled touch screen interface and even lets you manage your Microsoft Exchange calendar on the fly. This unit offers full HD voice quality (connection permitting), and some models come with a camera, supporting video calling and video mail. The VX600 offers excellent ergonomic design, and is very comfortable to use, a feature which should not be overlooked. This model uses Bluetooth 2.1, has 2 USB2.0 ports for media and data, and an RJ-9 type headset port. This Linux-based unit features 44 fully-programmable soft keys, and supports an extension module with 160 additional keys. The screen is large enough at 4.4”, but at only 480×272 pixels still doesn’t seem very sharp. It supports Bluetooth and has both USB and RJ-9 headset ports. The Grandstream GXP2170 model features a full duplex speakerphone with excellent echo cancellation, and does support HD audio. It also supports Google Voice, internet radio and can stream stock, weather and currency updates on screen. It is a good choice for executive offices, but is probably ‘too much phone’ for many office workers. The Grandstream GXV3275 is an Android 4.2 based system, and runs a wide variety of Android apps that can be found at the Google Play store, accessed from right on the phone. The on board camera is rated at 1 megapixel, and features a privacy shutter, which is an extremely useful addition. It offers Bluetooth as well as USB, SD, HDMI and a Plantronics-standard headset port. The GXV3275 is a much more video-oriented offering, with a 7” TFT touchscreen (and an impressive 1024*600 resolution). The integrated speakerphone is of also of high quality allowing you to make conference calls with this model as well. 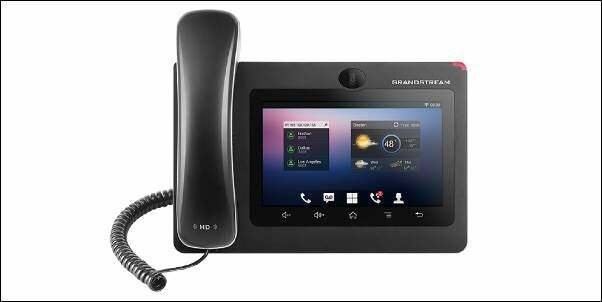 A fantastic entry-level internet phone that will enable your small business to get online at a reasonable cost. The 3.5-inch color screen is both appealing and functional, with context sensitive actions. Users can connect a headset using the built-in RJ9 port, and 5-way local conferencing is also a standard feature. A good phone for those looking to populate an office with internet compatible models at low cost, yet still want a feature-laden model. A budget single-line phone that might not have the thrills of other VoIP devices, but does offer great value. With a single SIP line, this is a phone best suited to environments with low call volumes. Despite the price tag, you can expect a decent suite of features, such as call hold, three-way conferencing, SMS and anonymous calling. A powerful, but easy-to-use executive-level phone with advanced multimedia capability, from an established manufacturer of IP phones. The Polycom SoundPoint IP Series of desk phones are designed for small to large businesses, providing a range of high-quality solutions whatever the size of your enterprise. A popular range with solutions for a range of budgets, from one of the largest and most respected business phone manufacturers. Cisco’s 7900 Series of Unified IP Phones combine convenience and user-friendly capabilities with sophisticated feature rich options, including hi-fi wideband audio, color LCD displays and campus mobility on selected models, ideal for small to medium sized organizations. The range of features available help improve productivity and efficiency throughout an organization. 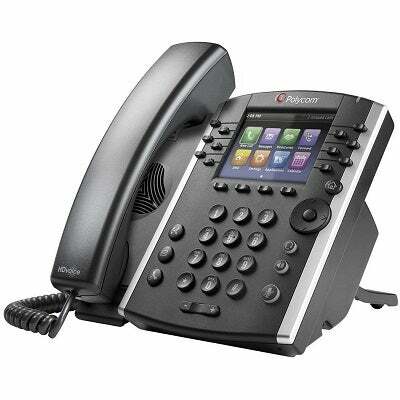 Cisco 7900 Series Unified IP Phones provide feature-rich communication. With excellent voice quality, clear displays and wireless capability on selected models, these phones offer a versatile solution for organizations with wide-ranging needs. 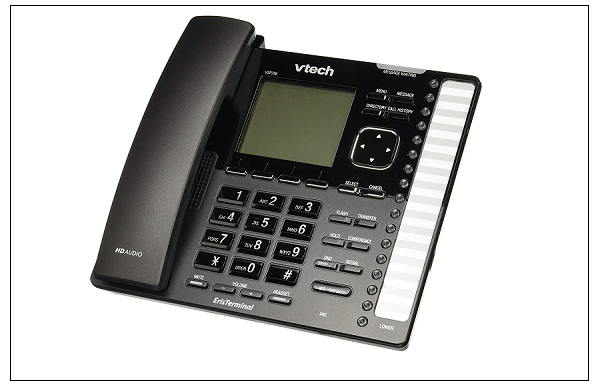 It may not have the features of some of the more expensive VoIP phones, but the VTech VSP736 has quite a few tricks up its sleeve, such as three way conferencing and the ability to record calls onto a micro SD card. The phones interface also has a good suite of troubleshooting options should you have problems. 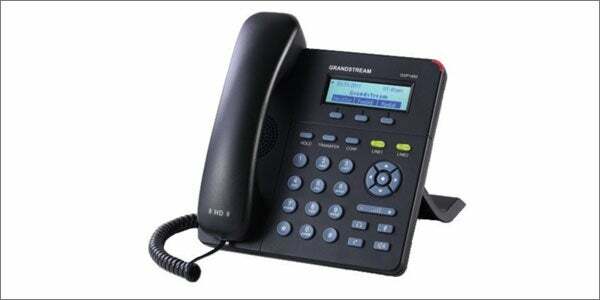 Best suited to a small to medium sized business, this VoIP phone may not boast a color screen, but it does have a nice range of features, and the capacity for up to six different SIP accounts is great advantage. 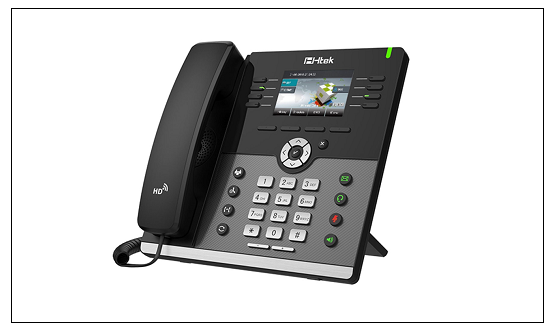 Yealink T2 Series VoIP phones are designed for small business users who need access to a range of features for everyday asks. 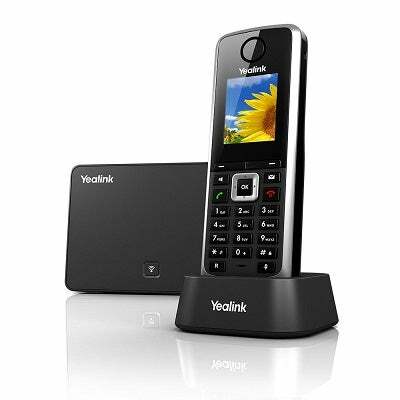 The Yealink T2 series can meet the basic communication needs of businesses of all sizes however, and can improve workforce productivity and efficiency. 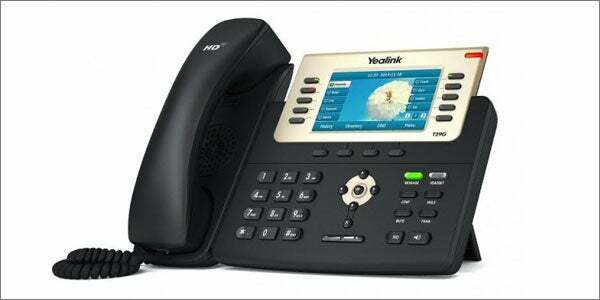 Yealink T2 Series VoIP phones provide excellent quality and functionality across the range. Entry-level models incorporate features generally found on higher-priced phones, while the top models meet the needs of demanding users. This broad range offers choices suitable for small or large businesses. 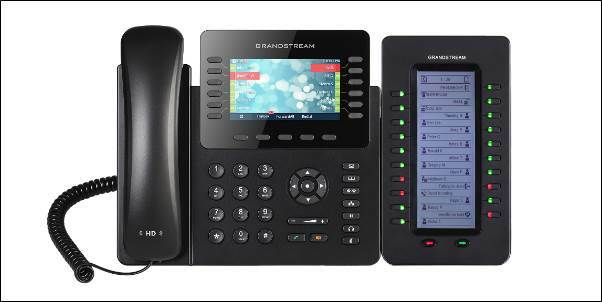 The Grandstream GXP series of VoIP phones are Linux based 2 line models designed for small-to-medium businesses. These phones feature superior HD audio quality, rich features and customizable applications to help users improve their overall communications process. These next-generation IP phones give small and medium businesses access to superior sound quality and rich telephony features in a compact, affordable package. 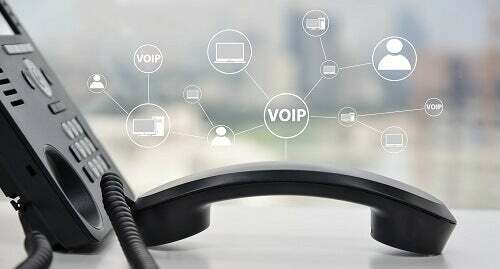 Have you found the best VoIP provider for your small business? Compare quotes and plans with Tech.co's free tool. Finding an office VoIP phone solution to suit your business needs is made slightly more challenging with the sheer amount of choice you’re faced with. However, this is also an advantage as well. With a number of leading manufacturers within the telecoms industry now focusing their efforts on IP phones you can be sure to find a solution that meets your budget, and includes features most beneficial for your business. 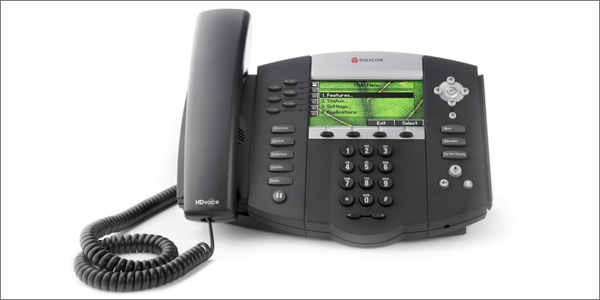 Many VoIP providers recommend particular models of desktop phones that are known to work optimally with their services. The larger providers also often supply office phone handsets as part of your chosen package, either for a single up-front payment or as an on going monthly contract. Whether you are looking to install a new system or upgrade your network, there are a number of considerations you need to make when deciding on the best system for your small business. How many business phone lines do you require? How many extensions are needed for the size of your office? What system features would most benefit your business? How will your business’ growth strategy impact your telephone needs in the future? It’s true there is no ‘one best office system for everyone. Different types of organizations have different priorities and budgets, and even two nearly identical organizations might face vastly different challenges and opportunities. So why do we keep talking about VoIP? Well, VoIP systems offer a number of modern advantages over traditional PSTN systems, making them the better choice for most. Let’s look at the differences. These are the ‘standard’ setups that most of us grew up with. Only fairly recently have other types been commercially available, so these are what many think of as ‘normal’ phones. 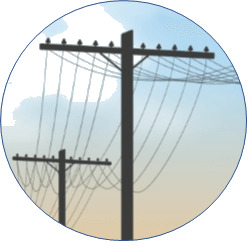 PSTN stands for Publicly Switched Telephone Network. These are a very mature technology, so they are reliable. Most users already understand the system. In order to use these for any but the smallest offices, you will need to have PBX or VoIP-type extension hardware installed on-site. Many providers are getting out of the ‘landline’ business, so these systems could soon become difficult to purchase and service. Long distance calls are particularly expensive over most PSTN systems. VoIP stands for Voice over Internet Protocol. These systems route your voice traffic over your existing internet connection. They do not require Traditional PBX (Private Branch Exchange) hardware, but the features and details can vary significantly between providers and systems. 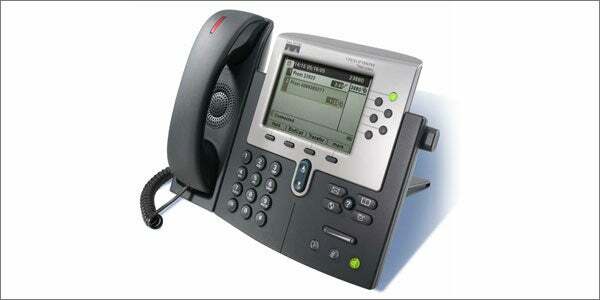 VoIP is by now also a well-established system for small businesses with excellent reliability. These systems offer a wide variety of standard features that are added extras on PSTN systems. They are inexpensive, especially as most do not apply any long-distance surcharge. It is particularly easy to route calls to remote employees, or those who are traveling. These systems rely totally on your internet connection, so if that ever goes down (which still happens to the best networks) your office phones could be completely cut off*. *Saying this, while your office phones may be cut off, your network and communications would not be. All good providers offer automatic re-routing to mobile numbers, for when your main phone cannot be reached. As we mentioned, there’s no one system to rule them all, but if you’re looking to future-proof your communications we recommend you choose VoIP. All of the best office phones we’ve found (and listed above) are IP phones. These devices can help take your business to the next level whether you’re a first-time VoIP user or a tech whiz. And desk phones are not the only kind of phone you can use with a VoIP setup. Visit our VoIP vs Landline guide for a more in-depth comparison of IP phones and traditional PSTN systems. VoIP phones are flexible, offering comfortable solutions for your small business. There are three additional types of VoIP phone besides the standard desk phone; wireless phones, softphones and conferencing phones. Similar to a traditional desktop phone, except that is has the ability to connect to the internet for VoIP functionality. In terms of VoIP devices, this is one of the simplest, and therefore one of the cheapest, making it good value for those that are looking to kit out their office with VoIP enabled devices but are concerned about the cost of wireless VoIP phones. A VoIP phone with built in Wi-Fi or a DECT transceiver, which connects to a base station or access point. Cordless phones allow users to move freely around their workspace while on a call. For extra flexibility, these can be paired with a headset to enable staff to keep hands free and remain mobile, while also speaking to clients. A software application can be installed onto a computer to equip the device with the ability to make and receive calls. Alternatively, a mobile app can be used on your iPhone or Android device. Softphones are particularly useful for remote workers and even call centers because they are relatively cheap to set up and run, as they can work with a wide range of equipment. If your staff already have PCs or smartphones, chances are they can be set up with a softphone for their devices. An IP conferencing phone can be used in a large business or conferencing facility where calls take place with multiple participants. Calls can be done via speakerphone, headsets, or even connected to a TV, with an added video stream. While the set up for these systems can be more expensive than a standard VoIP device, they can save companies money on sending staff to physical locations, and are useful for regular catch-ups between teams and departments, no matter where they’re located. Small business owners can often have trouble building a strong reputation and one of the main reasons for this is because it is sometimes difficult persuading a potential customer that you can meet their requirements. Voice Over Internet Protocol systems allow businesses to appear more professional. Modern VoIP solutions offer a virtual receptionist, video conferencing, call recording, screening and other tools which businesses can make use of. VoIP can give the impression of a larger business than it actually is, which can give customers more confidence. As an example, a caller may find it more professional to receive an automated line with a range of options to be put through to the right person than simply receive an immediate answer by a member of the team. VoIP can also create the impression that your business is well established and properly set up with wider coverage than perhaps a small local area. You don’t need to restructure your businesses IT setup or bring in a third party to improve your companies telecoms – you can start with simply picking up one (or more) of the phones listed above in our top 10, to modernize your business, improve your customer relationships, and get working in a smarter, 21st century way. 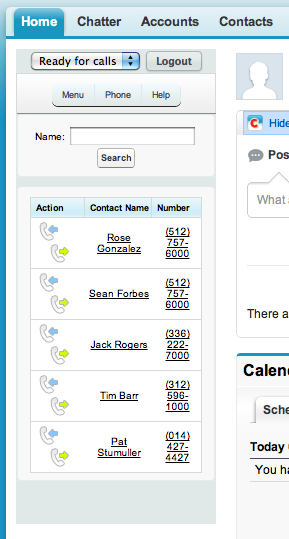 Compare VoIP provider quotes and find the best price for your small business.